A short story is usually a writer’s first foray into the world of writing. 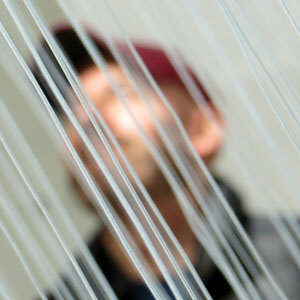 It may be the flesh of a childhood idea or the endgame of a preoccupation of thought. Once it is typed or written and saved it is a seed planted. Its growth comes with an audience, no matter how small. Whether or not it mutates is down to a combination of courage and chance. These sixteen very different short stories are the result of courage and good timing. We hope that you, kind reader, will dip into this jampot, embrace the sweetness and spread the word so that their respective audiences may be given the chance to grow. I certainly identify with the need to embrace courage. Sending something you’ve written away involves confronting the perpetual doubt ‘what if it’s not good enough’? My editors at Far Off Places helped assuage that one and now I am grateful also to Mardibooks, not least for leading with ‘The Special Day’, a story about love, guilt and redemption. 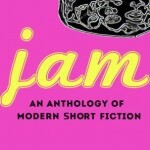 In due course I’ll put up a review of ‘Jam’. I’m looking forward to reading my co-writers’ work. 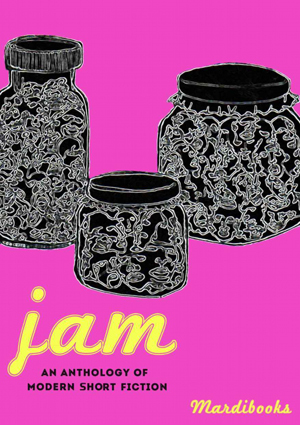 Jam is available for the incredibly reasonable price of £4.12 as an e-book from Amazon and includes a beautiful cover illustration by Becca Hyman It’s just the treat you need to take your summer up a notch. Get it here.